Gas prices increase for the first time since October. 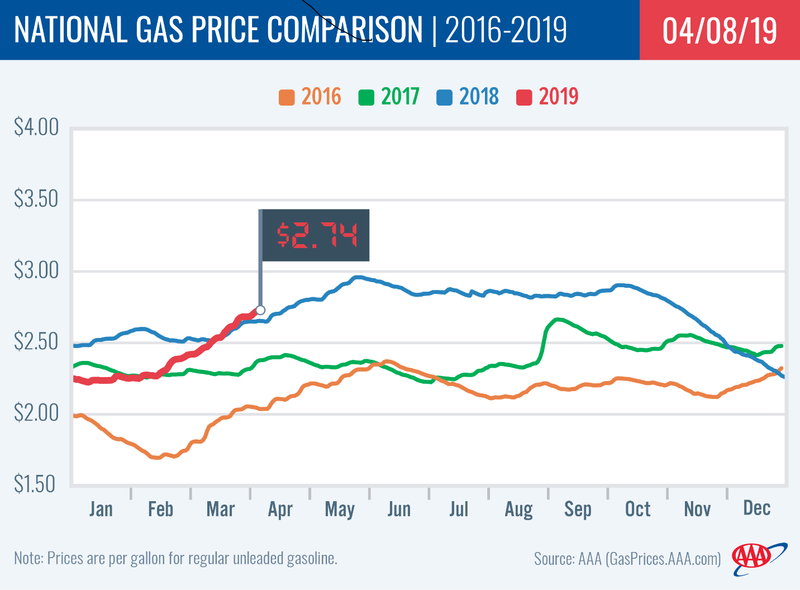 The national gas price average rose by one cent on the week, marking the first increase since October. 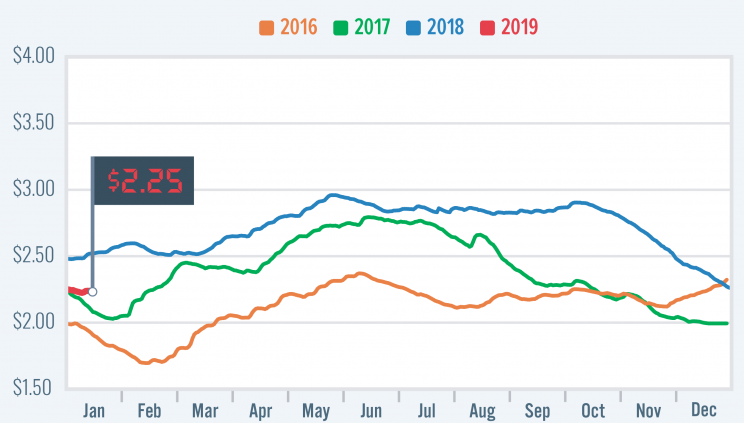 However, the national average is still cheaper still cheaper month-over-month (-14 cents) and year-over-year (-28 cents). 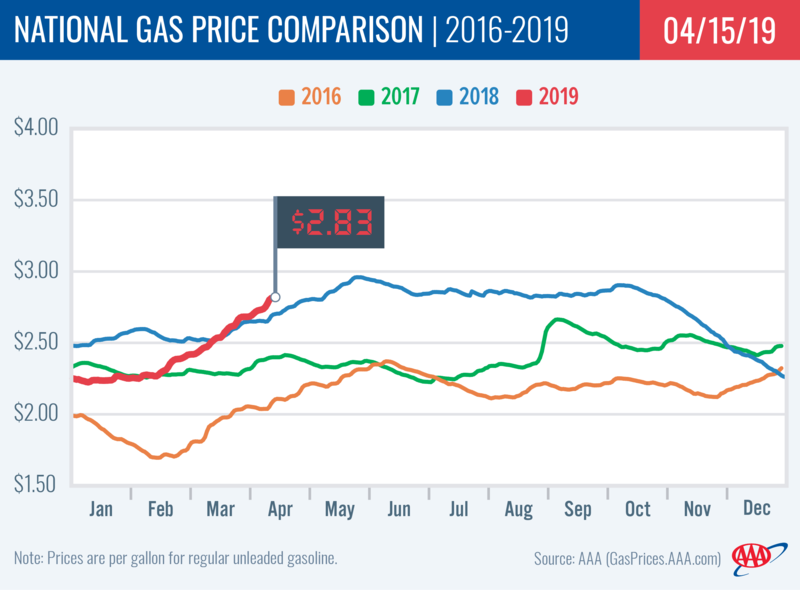 “The price of crude oil has been slowly, but steadily increasing since the beginning of the year, which is starting to push up pump prices,” said AAA spokesperson Jeanette Casselano. Recent overall demand has been low, helping to keep gas prices lower despite increasing crude prices. President Franklin D. Roosevelt travels from Miami to Morocco to meet with Winston Churchill, becoming the first U.S. president to travel by airplane. Article tags: AAA, AAA app, aaa mobile, aaa roadside, aaa roadside assistance, book a hotel, car, gas, gas price, gas price average, gas prices, roadside, savings, travel.